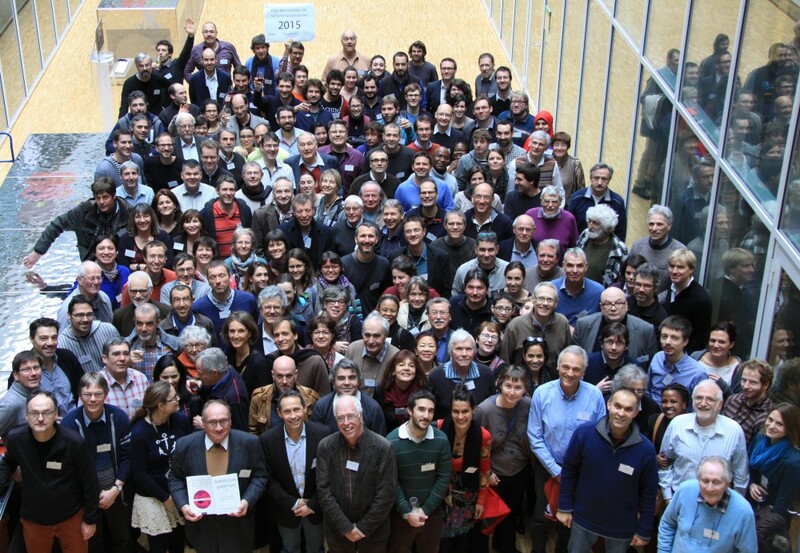 Pour avoir accès aux photos de la journée, veuillez nous contacter. Sophie Paychere(GUL): Haïti, Terre cassée ? Rappel : Si nous avons oublié quelqu’un n’hésitez pas à le ou la contacter. This Massive Open Online Course (MOOC) covers a broad range of topics from disaster management, climate change, ecosystem management and community resilience. 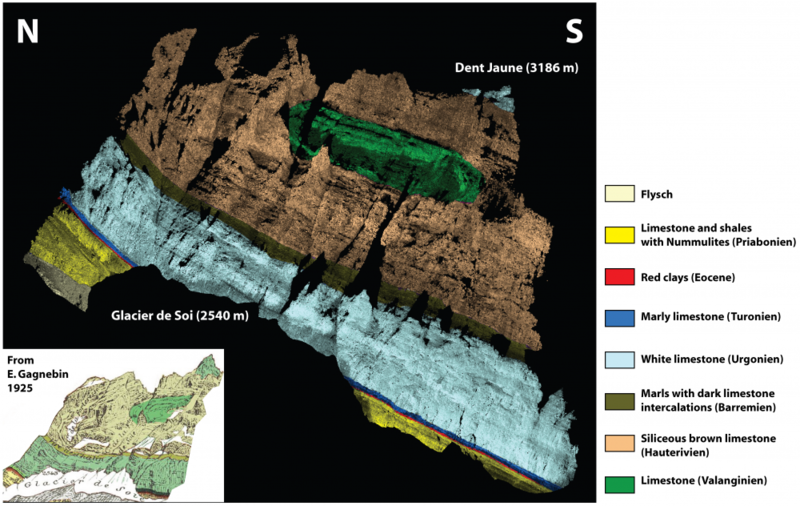 How these issues are linked and how well-managed ecosystems enhance resilience to natural disasters and climate change impacts are the core theme of the course. The MOOC is designed at two levels: the leadership track, with the first 6 units providing general introduction to the fundamental concepts, which is suitable for people from all backgrounds who wish to have a basic undertaking of the topic. The second level, or expert track comprises 15 units with more in depth learning on the various tools of ecosystem-based disaster risk reduction and climate change adaptation. The course runs over 13 weeks and is free of charge. Check it out! A team from UNIL Risk Analysis Group recently conducted a field study trip in the Pokhara area of Western Nepal, where UNIL (in collaboration with IUCN) is establishing three bio-engineering sites along three road segments with erosion/shallow landslide problems. The purpose is to demonstrate low-cost bio-engineering measures combining simple civil engineering and vegetative solutions in collaboration with local communities. 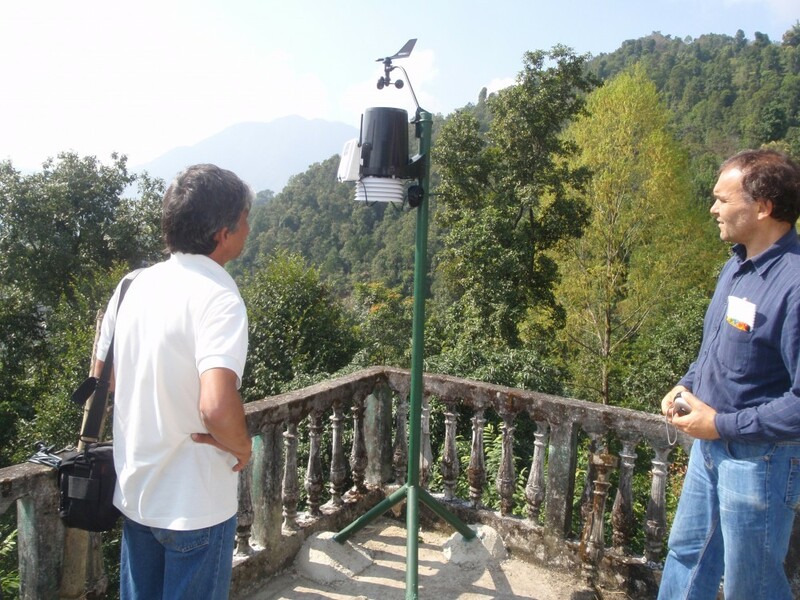 Each site now has an automated weather station and plant test plots are being established to test drought resistance. The team also visited and scanned a recent large landslide (6 million m3) named Mankha/Sun Koshi River landslide which killed 145 people. 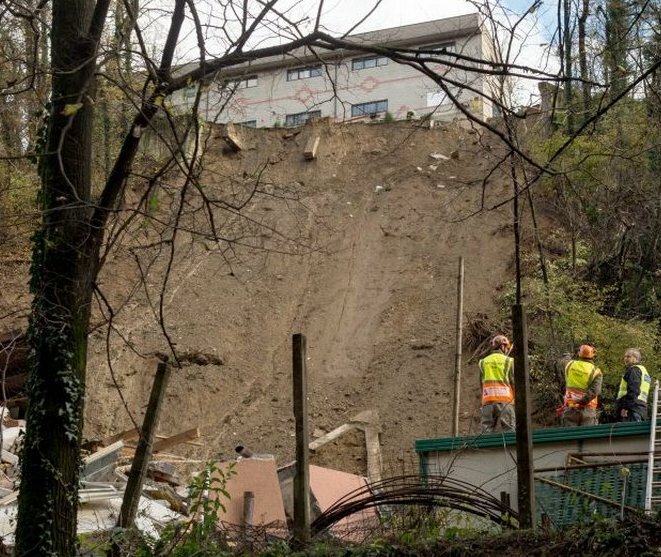 A three-storey appartment building was destroyed by a landslide on November 16th 2014 in the canton of Ticino, Switzerland. Two women were killed. 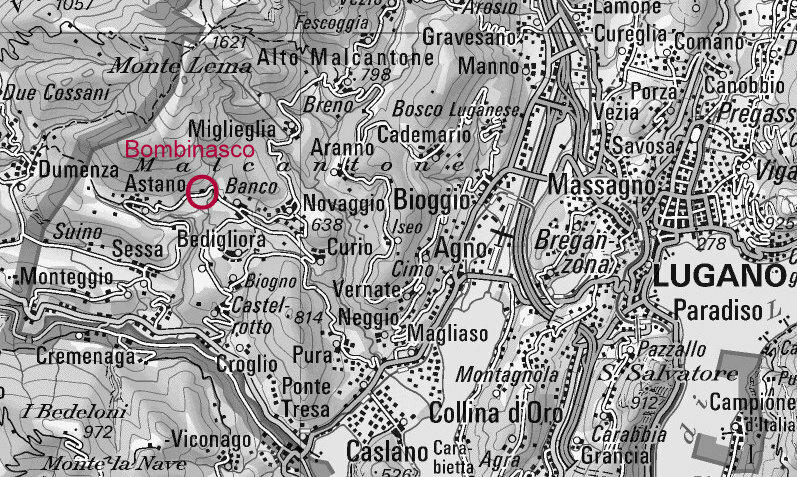 At 2:30 pm, a wall -weakened by the heavy rainfalls- located 50m away and above the building broke, releasing 500 m3 to 1’000 m3 of muddy material in the Davesco-Soragno village, near of Lugano. Hundred rescuers accompagnied by sniffer dogs worked during the night in the rubble to find the victims. Besides two fatalities, one man was seriously injured, three persons were slightly injured and one person kept uninjured. 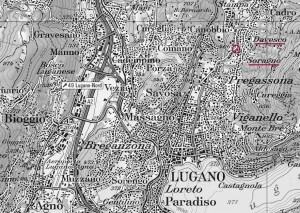 Strong rain precipitations occurred since at least ten days before the event on the area of Lugano. 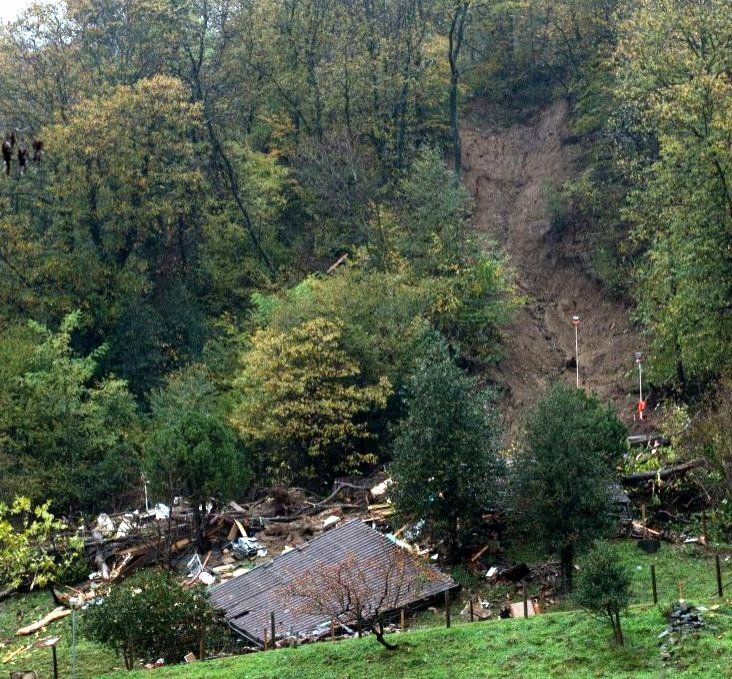 This landslide occurred 11km away from the previous disaster where two persons were killed 11 days ago. Sources: bbc, rts, 24heures and 20minuten. 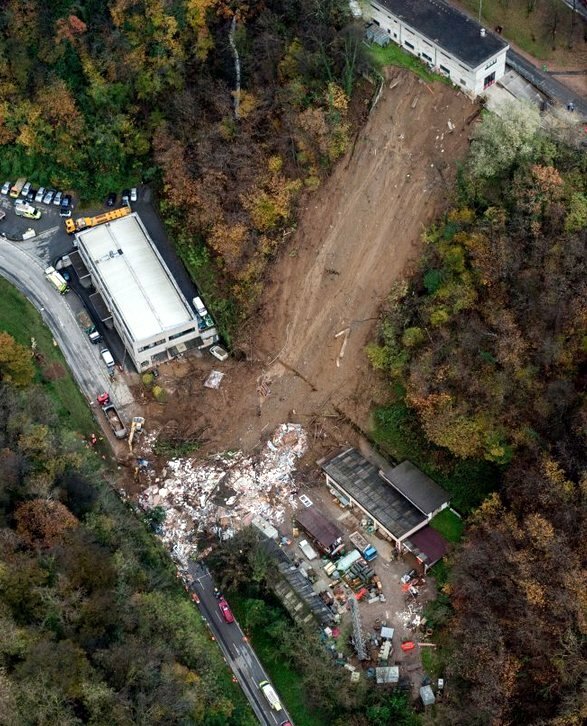 A two-storey house located in a large wooded area was destroyed by a landslide on November 5th 2014 in the canton of Ticino. The two occupants, a mother and her three years old daughter, were killed. Shortly after 6:00 pm, a 1’000 m3 landslide composed of mud, trees and rock masses flew over 150 meters and hit a house of the Bombinasco village, 10km West of Lugano. 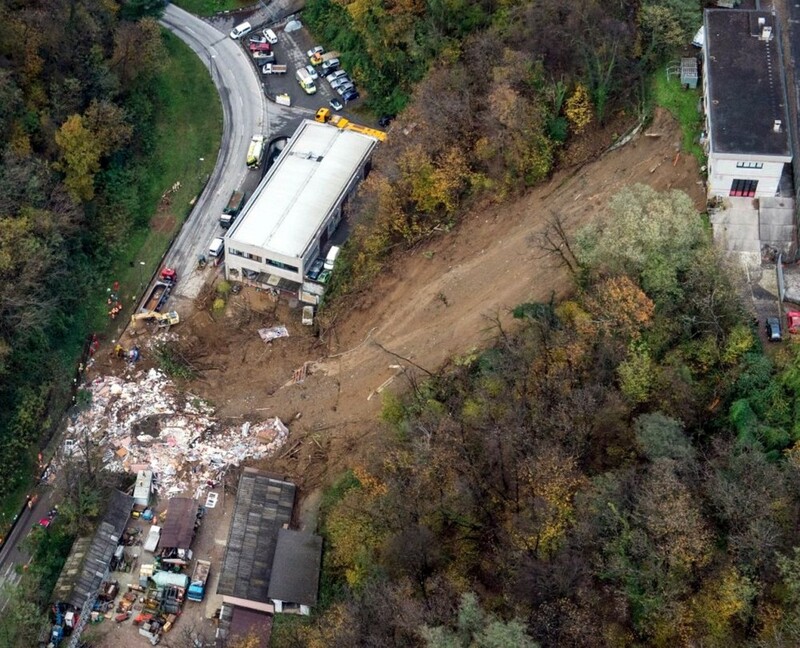 Eighty people (rescuers, firefighters and sniffer dogs) worked all the night in the rubble and found the two victims at 4:30 am the following day. 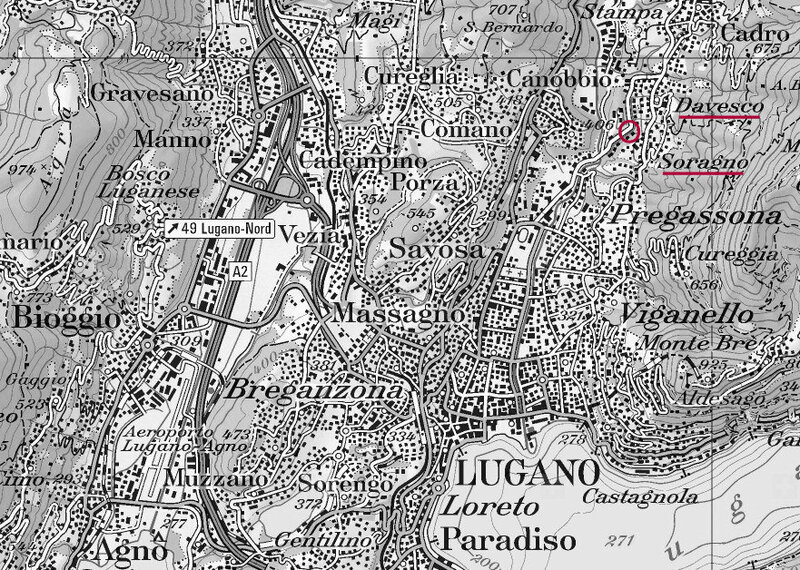 Strong rain precipitations occurred before and during the event on the area of Lugano. 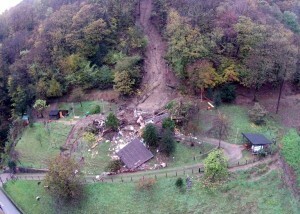 A road close to the drama location was buried by a landslide few hours before. Sources: 24heures, 20minutes and blick. 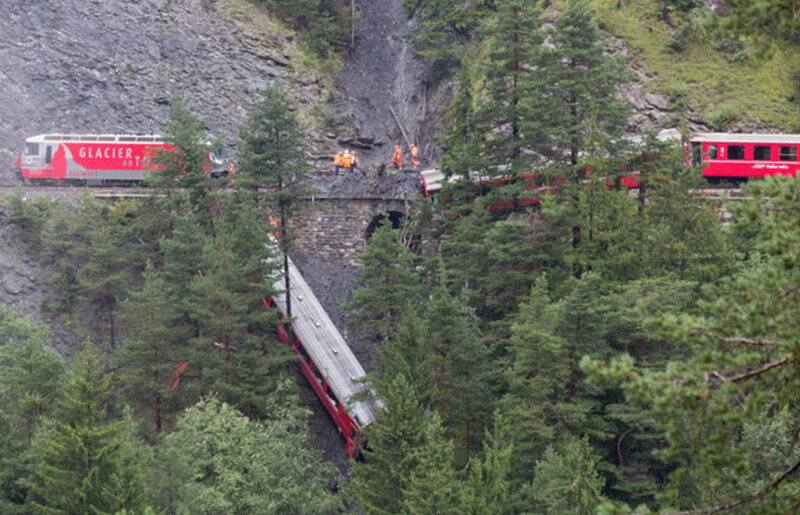 A train of the Rhaetian Railway derailed into a ravine after hitting a landslide felt on the track on August 13th 2014. 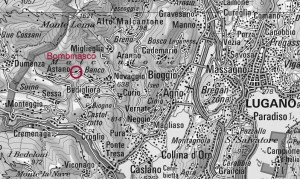 Eleven persons were injured, five of them seriously. One person died in the hospital ten days after the event. About two hundred persons were in the train. 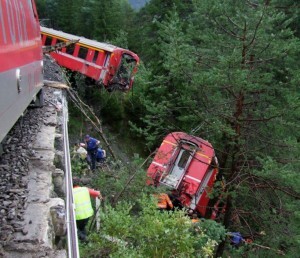 Almost 180 rescuers with eight ambulances and four helicopters were involved in the rescue operations. 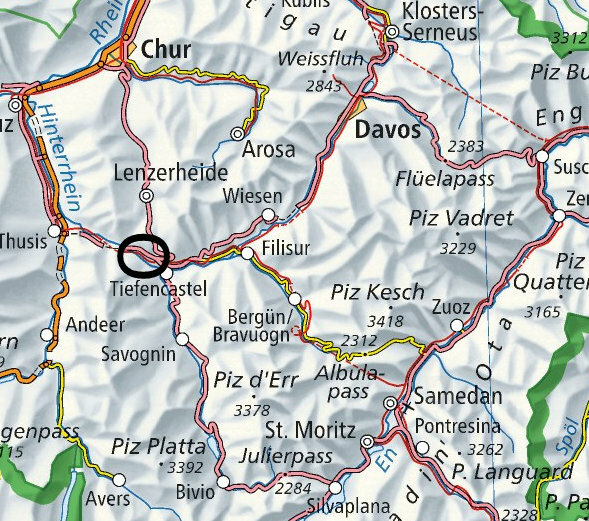 The landslide occurred near the village of Tiefencastel between Chur and St-Moritz in the canton of Grisons. 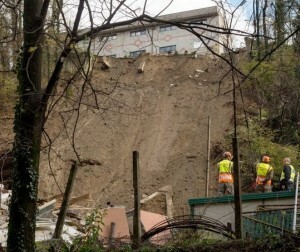 A 15 m long section of the railway track was buried with up to 3 m of material. 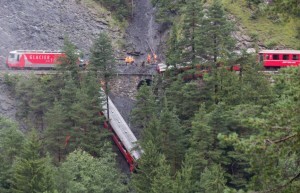 When the train hit the landslide, three passenger cars derailed. 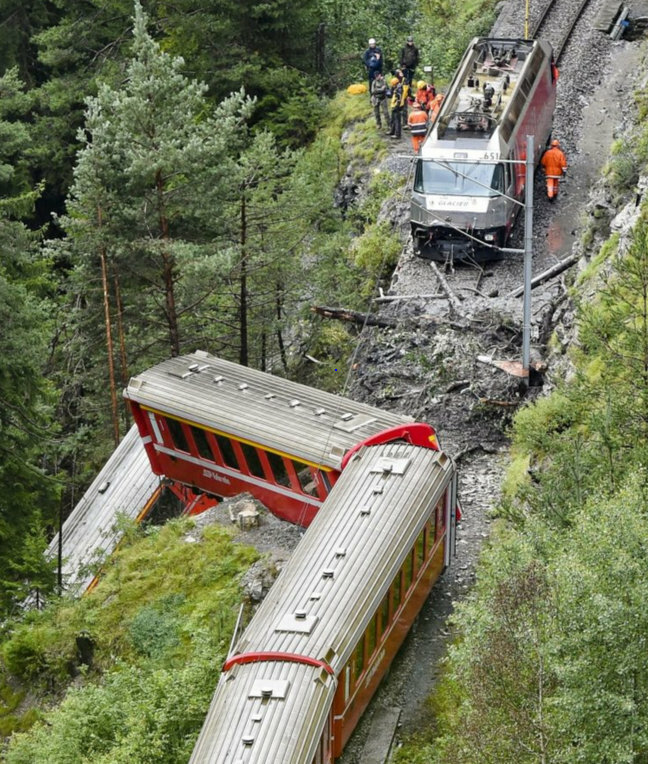 The first one, placed behind the locomotive, felt down about twenty meters into a ravine with a 45° slope. It was stopped during its fall by trees. The second passenger car stayed on equilibrium over the edge with the help of passengers who went to the back of the car to avoid its fall. Weather conditions seem to have contributed to this event. It rained between 50 and 60 liter per square meter in 12 hours. This represents half of the usual monthly rain precipitations in the area.